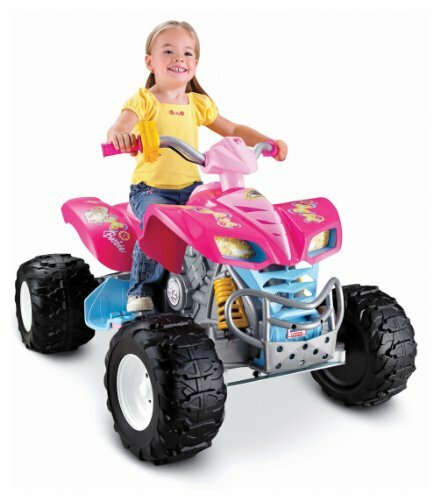 KidsATVsale.com » Electric ATVs » My Kid Wants The Best Ride-On Toy. Kids ATV VS Go-Kart. What to Choose? Outdoor recreational activities are an ideal source of entertainment and exercise. Surprisingly today many parents indulge their children in sports activities like auto-motor racing. It is quite common to come across children who’re busy racing down the garden tracks especially since such activities involve a sync of the body and mind. Auto-motor sports consisting of various vehicles. Kids ATVs and kids’ go-karts are popular foundations for teaching a child driving skills at an early age. ATVs and go-karts are an incredible approach towards ensuring an eco-friendly environment. You can check out the benefits of both these motor vehicles. While on one hand, your kids can enjoy the sturdy rumbles of an ATV, on the other hand, they can slip inside a polished go-kart for a quick ride on the track. Both models enclose distinct features but also have their individual pros and cons. If you’re having trouble choosing between kids ATVs and kids’ go-karts, perhaps this simplistic review will help you make the best pick. 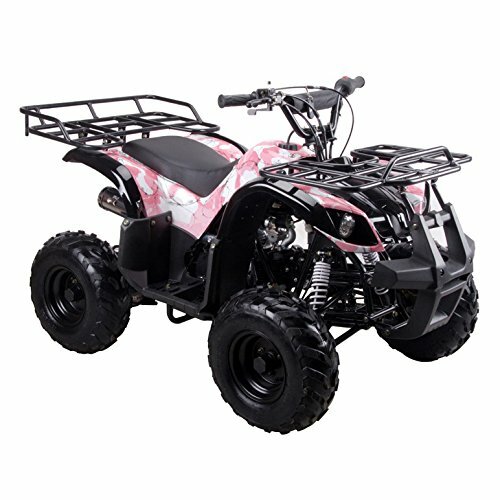 Electric Quads: Basic models of kids ATVs comprise electric quads that are battery powered however incredibly slow. 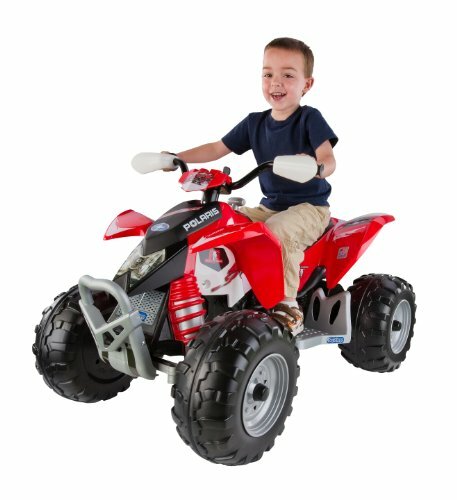 Toy ATVs that function on battery teach children to steer and maintain their balance while driving. Such ATVs are the ideal junior motor cars that are made available for toddlers. It builds confidence in one’s abilities and focuses on adapting to controlled environments. 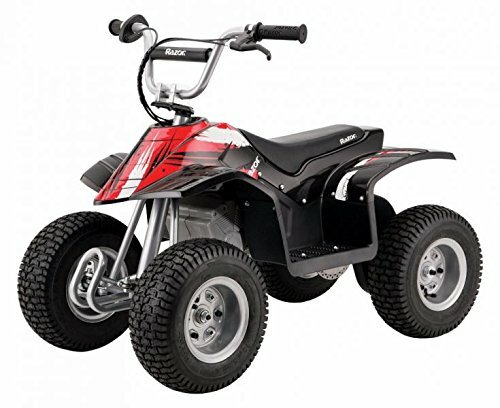 50cc Gas ATV: Once a child has acquired a few skills to handle an ATV, you can switch them over to the 50cc youth models. Children can easily pilot the 50cc gas motor which is lightweight and small. It doesn’t necessarily contain suspension, however, are equipped with a governor that controls speed and handle management. Consisting of a safety kill switch that can be supervised by an adult, you can easily pull the tether to stop the movement of the ATV. 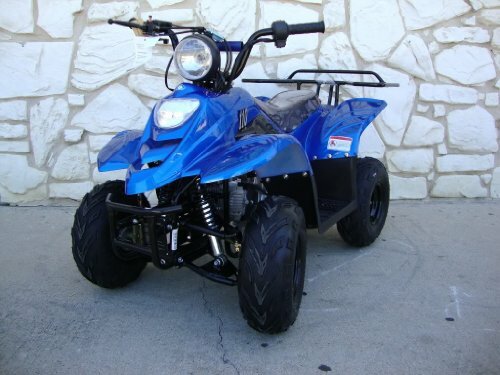 70cc Gas ATV: This particular type of ATV should be ridden once the child has attained 13 years of age or above. 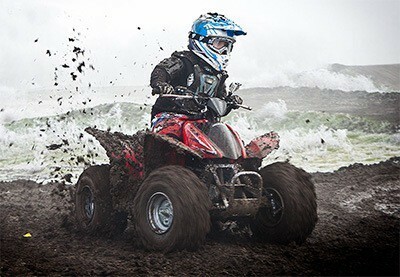 A 90cc gas powered ATV is considered for children who reach 16 years i.e. once they’re old enough to handle suspension control. While a 50cc consists of 4 gears that can travel at 30 mph, the bigger machines have increased attributes. They’re bigger, heavier require more physical strength. 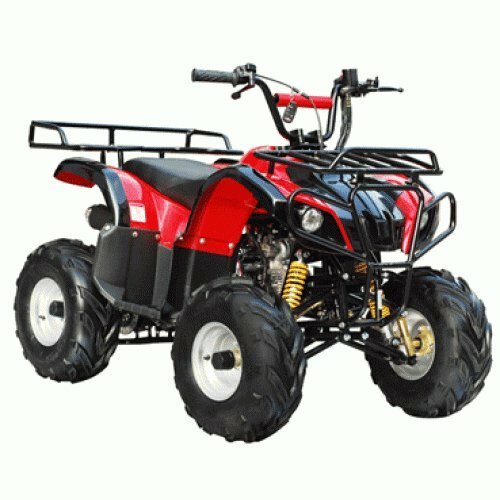 110cc and above ATVs are excellent for kids that consist of an automatic motor, electric start system and are available in a range of colors. ATVs for kids are targeted at improving cognitive skills of the child from a young age. This pioneering technique of engraving motor control skills within children is an excellent form of turning them into skilled drivers. Available in a range of colors and designs, basic models weigh around 45-75 kg that can run for a maximum speed of 3-7 miles. Electric ATVs for kids is a perfect choice because it is an eco-friendly invention that doesn’t release any harmful pollutants into the air. Since it doesn’t exhaust fumes, it keeps the environment clean and keeps your children happy. The sound system is pleasant and doesn’t release unpleasant, buzzing noises allowing parents and children to communicate easily. ATVs for kids have a powerful and grip efficient framework that require low maintenance. Being small in size, such vehicles are generally battery powered and reliable. Electric ATVs can be charged at home hence are a cheaper option at hand. They take up less space at home and ensure that the kids can enjoy a safe off-ride experience. My favorite is Razor ATV (aka. Razor Dirt Quad). 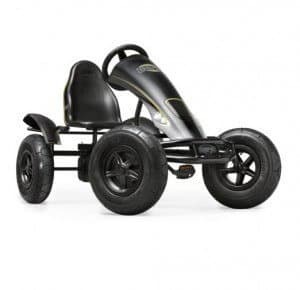 Pedal Go-Karts: Comprising of pedals, steering wheel and excellent grip, this four-wheeled go kart is ideal for children since it consists of an integrated easy to use skid brake. The ergonomics of the go-kart has been designed to provide the safety that depends upon physical attributes, driving the bike on pedal powered mechanics. Electric Go-Karts: Powered by 1 or more batteries, such a type depends upon electric batteries that can be solar powered as well! 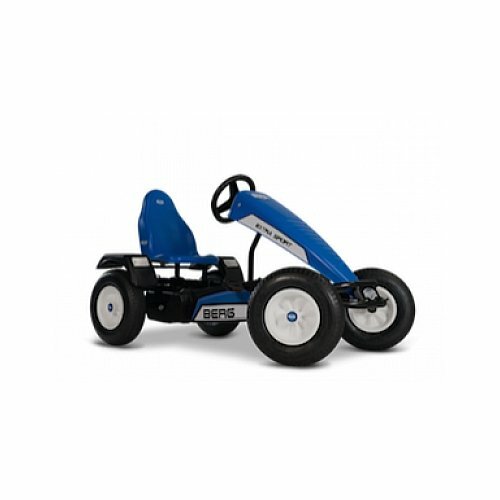 Having sufficient lead-acid batteries, electric go-karts are pollution free with precision torque. The speed is sufficient for the kids to control and is of very low maintenance. 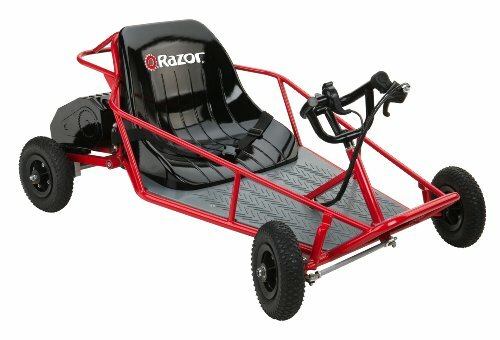 Gas Powered Go-Karts: Such types are generally available for children who attain a mature age for handling the motor vehicle. 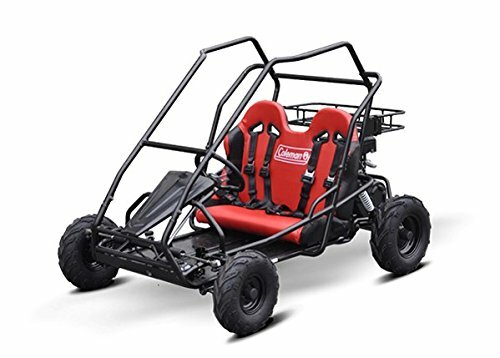 Gas powered go-karts are costlier, high maintenance and offer a high speed. The durability of these karts is much more than electric that’ll make your kids feel like they’re professional drivers on a racing track! It might seem that go-karting is just for fun however it introduces basic driving skills that children can improve and excel at. Go-karting is a sport that is essentially practiced to improve handle management and to learn gear control. For children, the go-karting is not only aesthetically pleasing but also allows them to understand sportsmanship. It is an inexpensive form of racing that can introduce progressive skills for a prospective career in auto-motor racing. Go-karting races improve a child’s reflexes, decision-making skills, and car control. Since go karts maintain a certain speed, it is a prominent form of understanding orientation and skid turns in a track field. Electric go karts are eco-friendly, making them an affordable option. If geared with proper safety measures, go karts for kids offer exciting rides and precise car control management that are necessary to avoid accidents. The table below shows pros and cons of ATVs and Go-Karts for kids. Both vehicles give children the opportunity to exercise their physical and mental capacities and also offer plenty of family time. 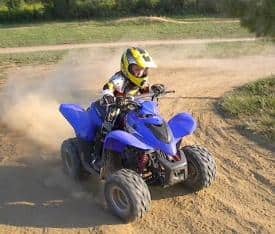 Research has recorded hundreds of children under the age of 12 years engaging in motorsports where kids ATVs and go-karts are used extensively. 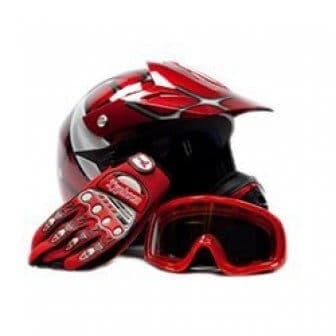 It offers an enjoyable experience so whether you choose ATV or a go-kart, remember – both vehicles should be insured with safety equipment like helmets, goggles and other, to avoid accidents.